Danica Patrick speaks to reporters after qualifying for the NASCAR Sprint Cup Series Daytona 500 at Daytona International Speedway on Sunday. Danica Patrick became the first woman to win pole position in NASCAR's Sprint Cup Series history, posting the top qualifying time for the Daytona 500 at Daytona International Speedway on Sunday. Her lap of 45.817 seconds - at a top speed of 196.434 mph - means she'll start in the front row in the February 24 race, alongside Jeff Gordon. Two previous pole positions earned by women in NASCAR came in the Nationwide Series. Those were earned by Patrick last year at Daytona, and Shawna Robinson in 1994 in Atlanta, according to NASCAR. Patrick, 30, is in her first full year as a NASCAR Sprint Cup driver. Last year she made 10 Sprint Cup starts. [Updated 9:03 a.m.] Seven people from other countries have been kidnapped in Jama'are, Nigeria, police said. The kidnappings took place at offices of Setraco, an engineering construction company, on Saturday night, police said. There was no immediate word from the company. A British citizen was among those taken, according to Nigerian police. British authorities said they were "aware of reports" and were making inquiries. Two Lebanese nationals were among those kidnapped, Lebanon's Minister of Foreign Affairs Adnan Mansour said Sunday. [Posted 8:09 a.m.] At least two people from other countries have been kidnapped in Nigeria, their governments announced Sunday. Italy's Foreign Ministry announced that an Italian citizen was kidnapped. Greece's Foreign Ministry said a Greek citizen who works for construction company Setraco was kidnapped Saturday night. Follow more news about Nigeria here. [Updated 8:06 a.m. ET] At least 21 people were killed and 125 others were wounded in six car bombs and three roadside bombs across Baghdad, police officials say. Most of the attacks were in Shiite neighborhoods. [Updated at 4:48 a.m. ET] The death toll and the number of car bomb explosions have both gone up. Authorities now say at least 15 people were killed and 80 others wounded in six car bomb explosions that mostly targeted outdoor markets in Shiite neighborhoods. Here is our story. [Posted at 3:47 a.m. ET] At least eight people were killed and 45 others wounded when three car bombs exploded in Sadr City, an area in eastern Baghdad, police said. 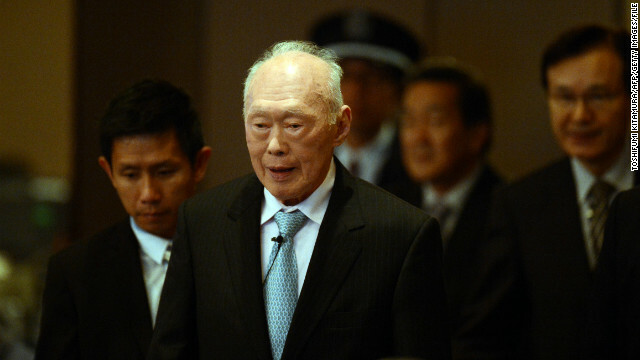 Lee Kuan Yew, the founding father of Singapore and the man widely credited with molding the island nation into one of the world's most prosperous countries, has been hospitalized after suffering an irregular heartbeat and "stroke-like symptoms." The 89-year-old Lee has recovered but will remain hospitalized for observation, according to a statement from the office of his son, Prime Minister Lee Hsien Loong. The elder Lee was Singapore's first prime minister after it gained independence from Malaysia in 1965. His son is the third. 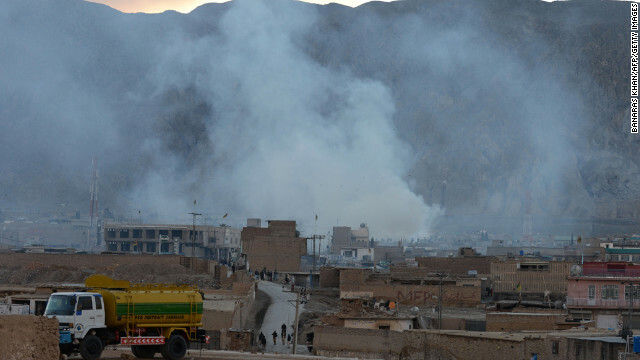 Smoke rises following a bomb explosion in Quetta, Pakistan, on Saturday. Pakistani police have revised the cause of a blast that killed at least 83 people on Saturday. Police now say a suicide bomber, driving an explosive-laden water tanker, rammed the vehicle into buildings at a crowded marketplace in Quetta.